The rectangular plaque is carved with a figure standing before a pavilion in a mountainous landscape. The reverse is incised with calligraphy. 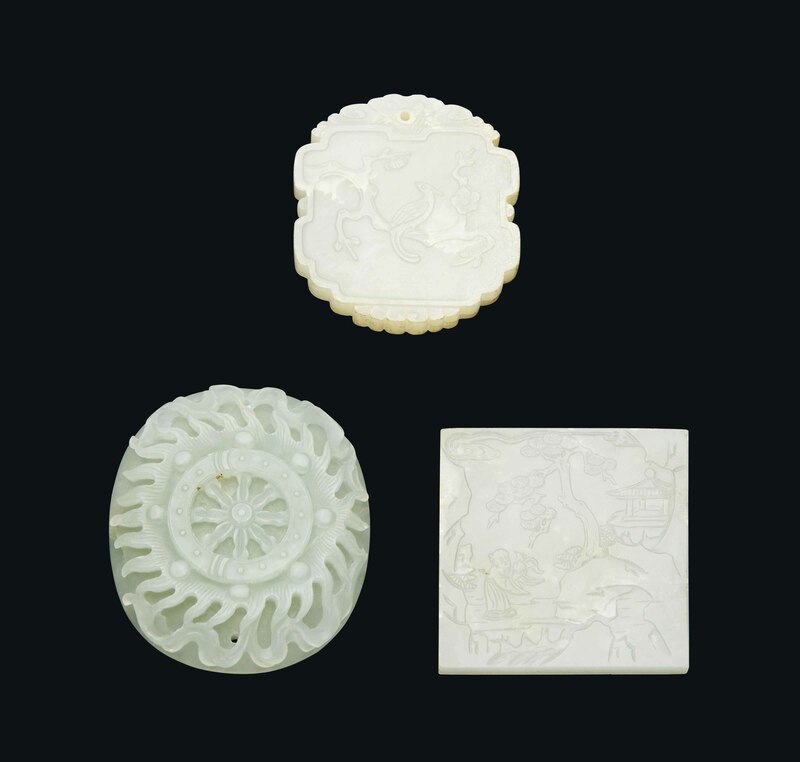 The stone is of a very pale celadon tone with small white inclusions and small pale yellow areas. The second plaque is oval with shaped sides and is carved with a bird on a tree-branch. The reverse is carved with a four-character seal mark. The stone is of a pale celadon tone with some white inclusions. The belt buckle is carved in high relief with a wheel surrounded by stylised flames. The stone is of a celadon tone.